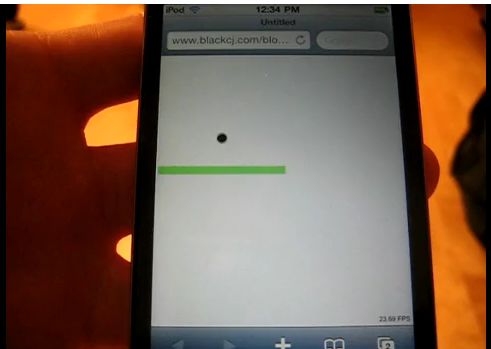 While trying to figure out the best way to develop a cross-platform game, developer Christopher Black created a simple HTML5 benchmark, which he then ran on a Nexus One (N1), iPod Touch 4G, and iPhone 4. For some further variety, he also tested Flash 10.1 on the N1. The test itself was simply a black ball bouncing, and the results were incredibly surprising: the Nexus One ran the animation 67% faster than the iPod Touch, and 81% faster than the iPhone 4.